This week Fr. Harry welcomed the children who will receive their First Communion in May and their families who had joined us as part of the ‘Do this in Memory’ programme. There was a sense that all listened and prayed respectfully. The choir sang with hearty voices, even singing in Swahili. 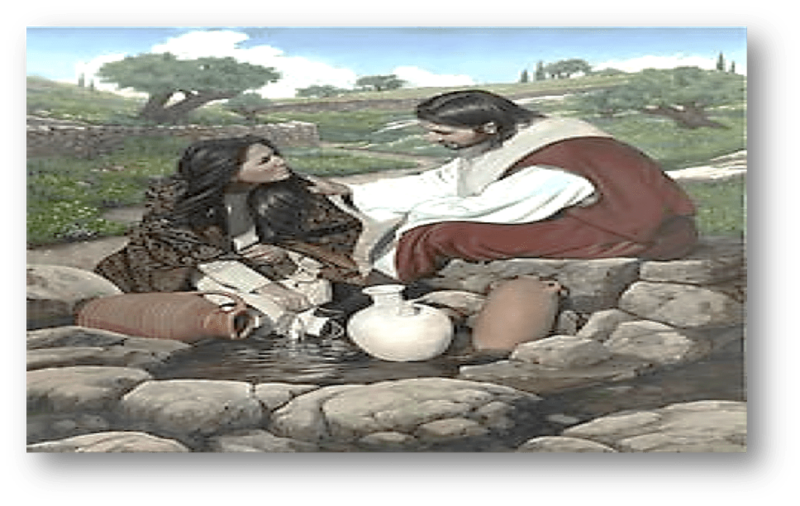 During the word of God we watched and listened to the gospel story from John about the Samaritan woman at a well, who listened to Jesus, as it was eloquently dramatized This story reminds us that God loves all people no matter where they are from. And that God asks us to be like Jesus and to respect and care for all people. At the end of Mass the children took their ‘acts of love for Jesus’ with enthusiasm and some were quite particular about what they chose. Our ‘acts of love’ not only include listening to Jesus, but random acts of kindness like making your bed each day, not wasting food and giving some pocket money to Trocaire. We all left with the hope that our hearts will be open to listen to Jesus this week and that we will reach out to someone in need.